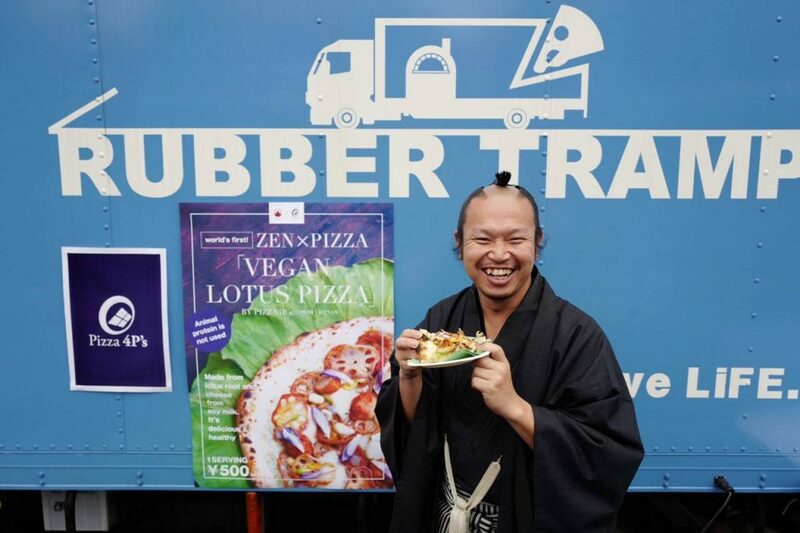 We proudly announce that our Whole Zen Lotus Pizza is served in an activity in Tokyo, today, on 9th November. 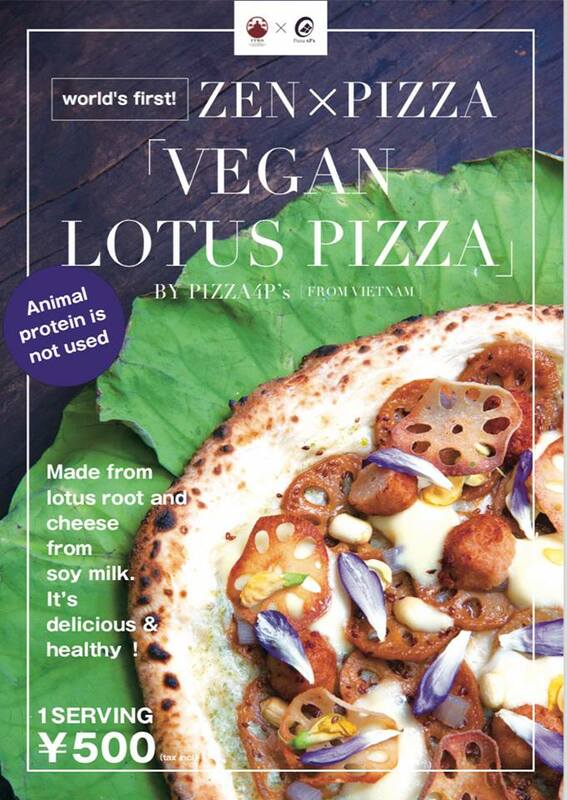 The ingredients of this Pizza are entirely vegan, with the vegan cheese made from soy milk and lotus root flour. Whole parts of Lotus (flower, fruit, stem and root) are utilized. Nothing is wasted. It is the first time we shared our Pizza overseas. 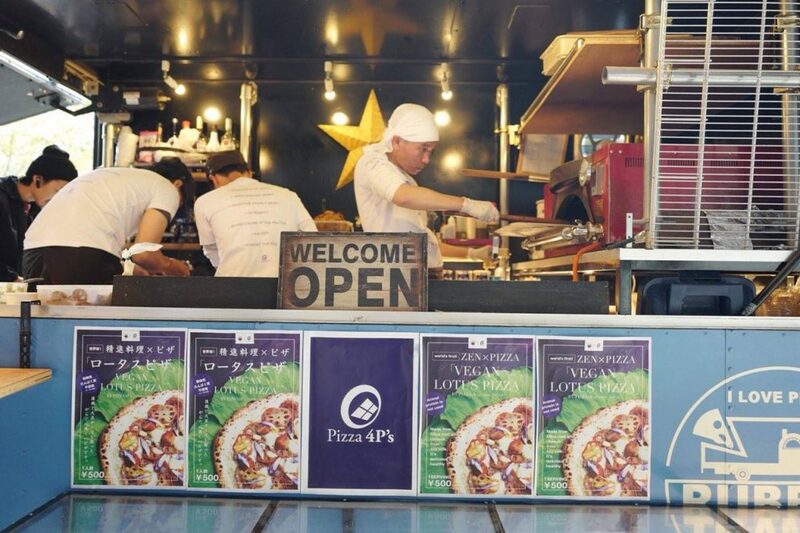 Our pizza chefs will be there to bake for Monks from all of Asia. 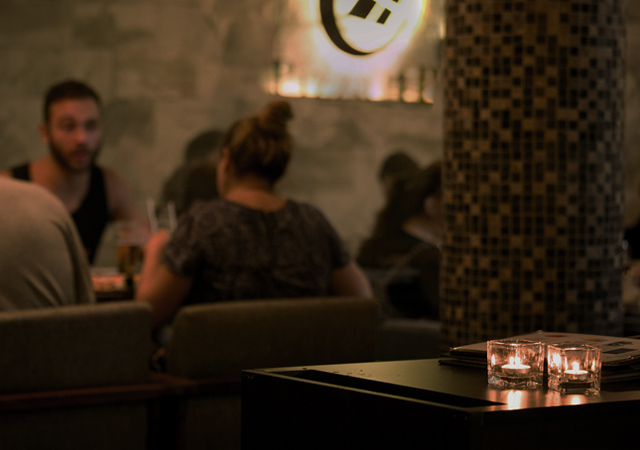 *You could also come to try our Whole Zen Lotus Pizza in Vietnam at Pizza 4P’s Phan Ke Binh (Hanoi) and Pizza 4P’s Saigon Centre (HCMC).